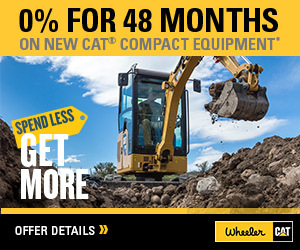 Thunder Creek Trailers | Wheeler Machinery Co. Better Maintenance. Less Downtime. Thunder Creek. 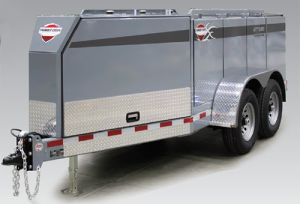 The MTT series from Thunder Creek is the first fuel and service trailer designed to legally mitigate the need for the driver to have a CDL or HAZMAT endorsement per the Code of Federal Regulations, Title 49 (CFR49). 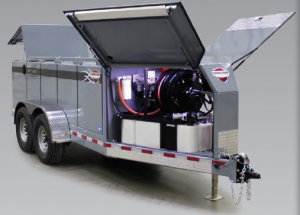 A Service and Lube Trailer is more efficient to operate and has a lower cost of ownership than larger, high horsepower service and lube trucks and lube skids. 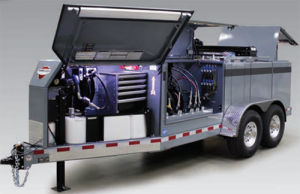 It gives equipment managers the flexibility to customize a trailer with up to eight fluids. Your equipment is your livelihood. Protect it with a fluid storage and handling solution that gives you exactly what you need, when you need it. 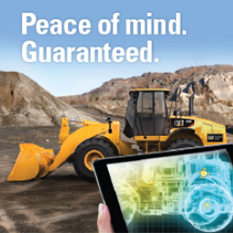 Maximize productivity without sacrificing quality. 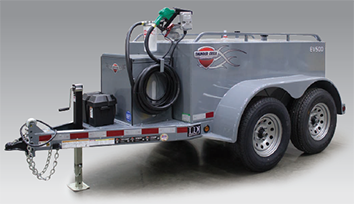 Thunder Creek’s Economy Fuel Trailers provide rugged fuel transportation at a great value. Every Thunder Creek trailer is built from the ground up with a no-compromise approach to quality to tow smoothly at highway speeds and stand up in rough terrain. The Economy Trailers are no exception. No CDL. No Hazmat. No Problem. 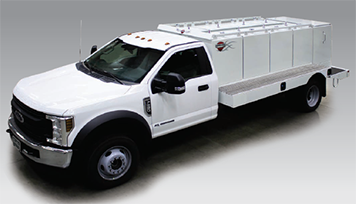 It’s designed for the Ford F-550 chassis so the GVWR remains under threshold for a Commercial Driver’s License. 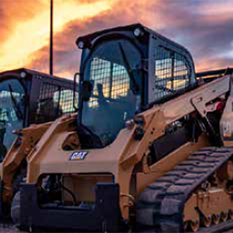 Simplify Maintenance in the field. Thunder Creek’s versatile utility appliances simplify maintenance and reduce the downtime that comes with servicing off-road machinery. 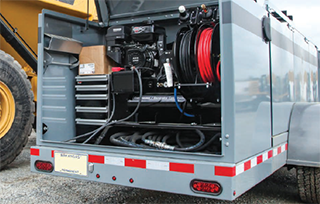 These powerhouses can function as stand-alone units from the bed of a pickup or they can be installed in the rear utility box of any new Thunder Creek fuel and service trailer. Thunder Creek’s clean, closed DEF Delivery Systems maintain the purity of the easily contaminated fluid to protect your Tier 4 machinery. The DEF Saddle Tank is designed to be added to a truck chassis frame below the frame rails. 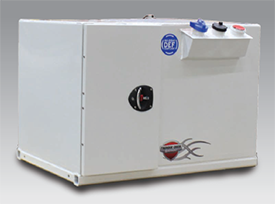 The components of the portable DEF tank are protected under a lockable, weather sealed door. Which type of Thunder Creek trailer would you like more information on?